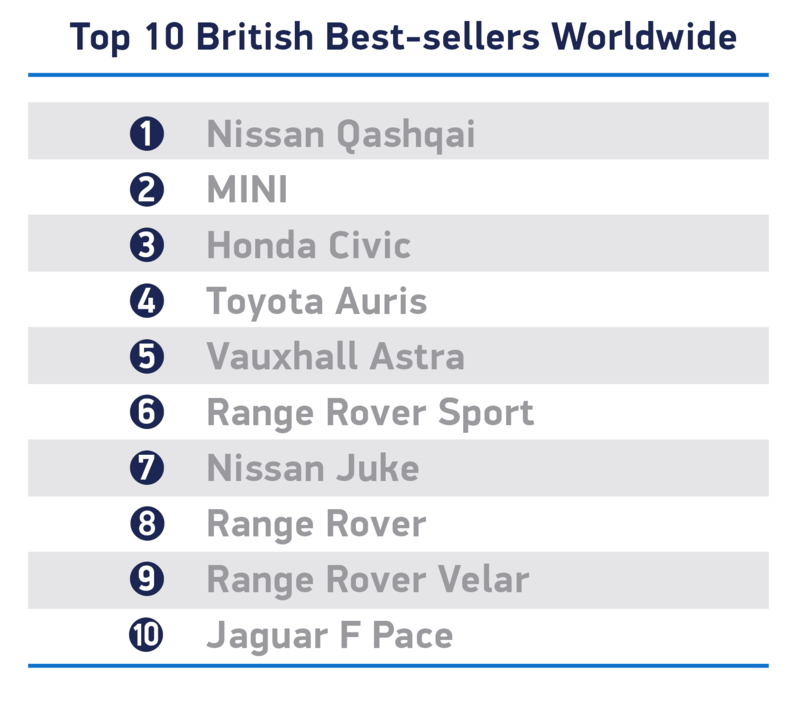 Output for the UK and overseas markets down -16.3% and -7.3% respectively, with 8 in 10 cars exported. Brexit fears see fresh investment halved in 2018, as new calculations show two thirds of UK’s global car trade at risk from ‘no deal’. 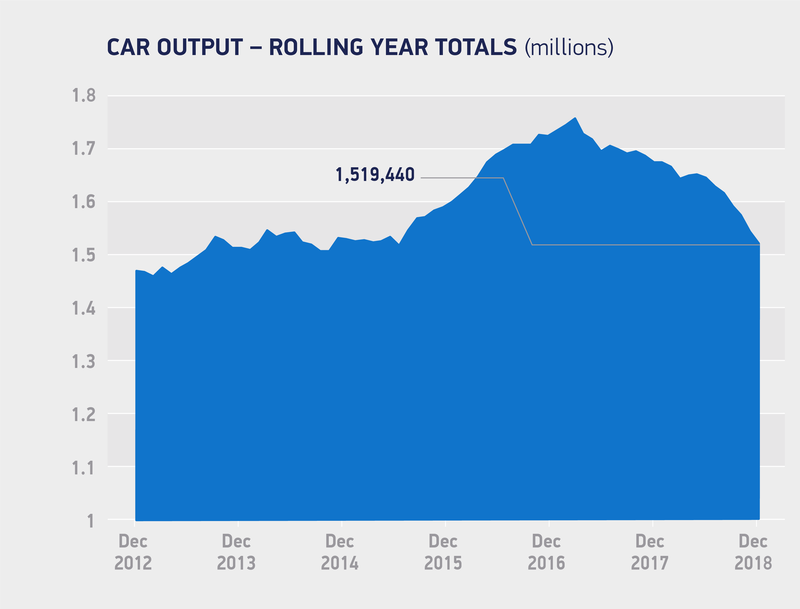 With fewer than 60 days before we leave the EU and the risk of crashing out without a deal looking increasingly real, UK Automotive is on red alert. Brexit uncertainty has already done enormous damage to output, investment and jobs. Yet this is nothing compared with the permanent devastation caused by severing our frictionless trade links overnight, not just with the EU but with the many other global markets with which we currently trade freely. Given the global headwinds, the challenges to the sector are immense. Brexit is the clear and present danger and, with thousands of jobs on the line, we urge all parties to do whatever it takes to save us from ‘no deal’. 2. 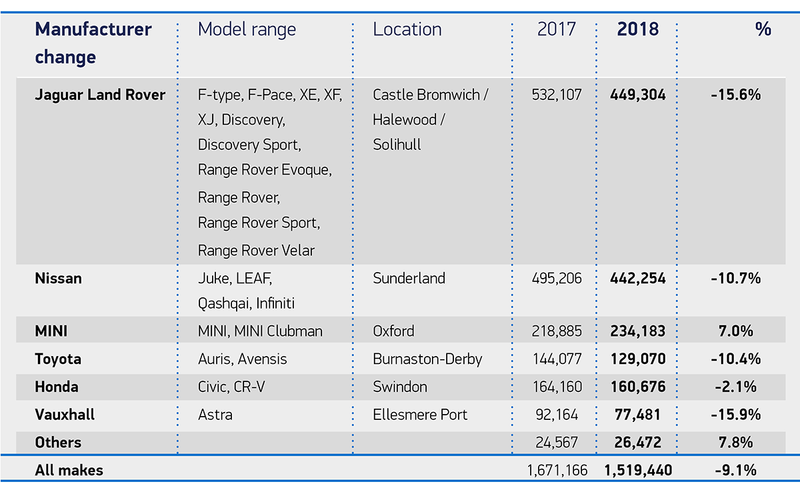 SMMT calculations based on new, publically announced investment decisions in 2018 covering genuine commitments to fresh spend on new product, tooling, equipment or facilities. 3. 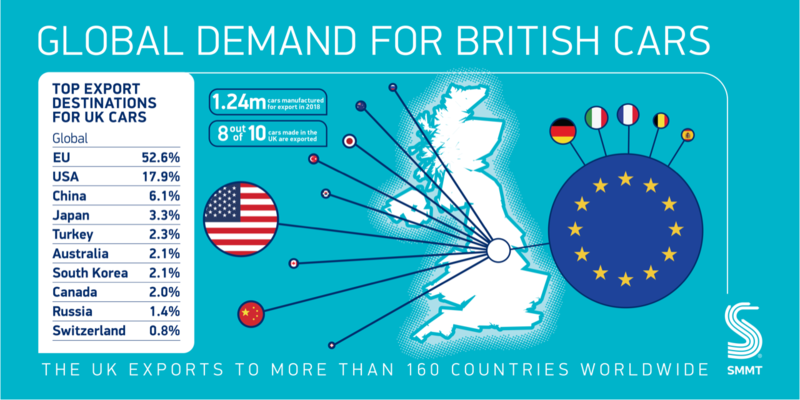 Taking into consideration EU-wide trade deals in force and yet-to-be-ratified agreements, the UK automotive industry benefits from bilateral trade pacts between the EU and several of the sector’s top export markets, including Turkey, Japan, Canada and South Korea Taken together, these countries cover 15.7% of UK automotive exports. 4. 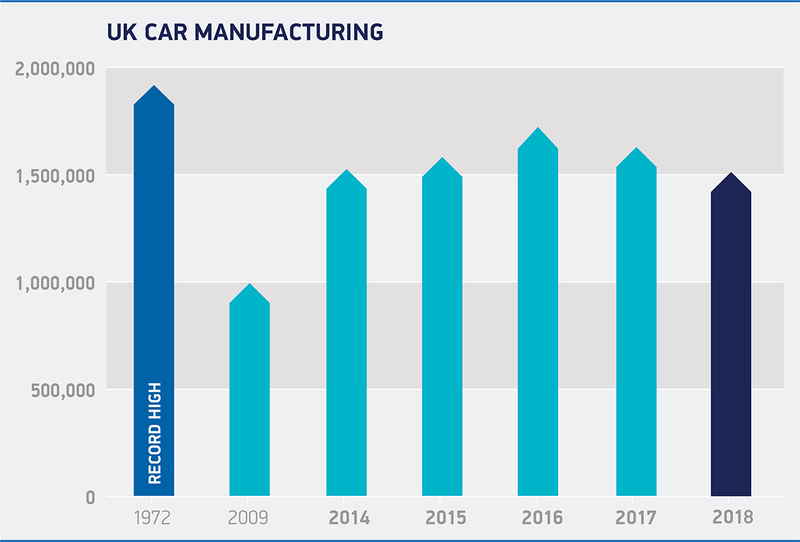 From 2009-2016 UK car production.